The never-ending quest for an ideal body has been taken to bizarre measures in a new ‘thin waist’ challenge in China. 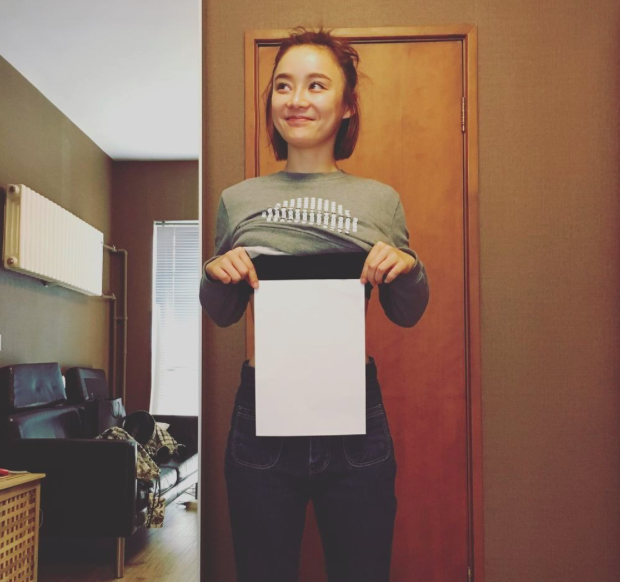 Women are taking photos of themselves with a piece of paper in front of their waists to show just how tiny they are. It’s called the ‘A4 Challenge’, and it’s worrying. The width of a piece of A4 paper is eight inches, and these women are trying to prove that their waistlines are equal to or narrower than that. 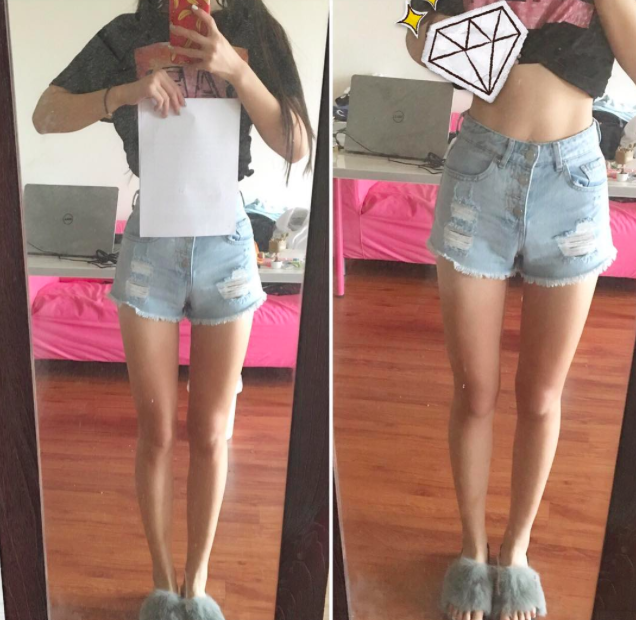 The waist challenge started in China around February and has gone viral since then, with hoards of women taking to Weibo (the Chinese equivalent of Twitter) to show off their super tiny waists. Fans of the challenge say that it’s a reachable goal to aim towards, sharing photos of Chinese models who have standard ‘A4 waists’ to prove it, The Daily Star reports. But while many women are being pressured into the bizarre fad, others have been quick to make fun of the trend – saying they have A4 waists, too – if they hold the paper horizontally. And many people disagree with the challenge. While some women may naturally be very thin, the challenge is sending a pretty worrying message about body image that seems to say the thinner you are, the better you are. And it’s not the first challenge of its kind, either. China also had a ‘belly button challenge’, which saw people wrap their arms around their backs in order to touch their belly buttons. Apparently, the idea behind it was that if you could touch your belly button from behind, it was supposedly a good indicator of being at an ideal weight. And possibly less weird but still questionable was the trend that said if you could hold a pen under your breast, you were a real woman.